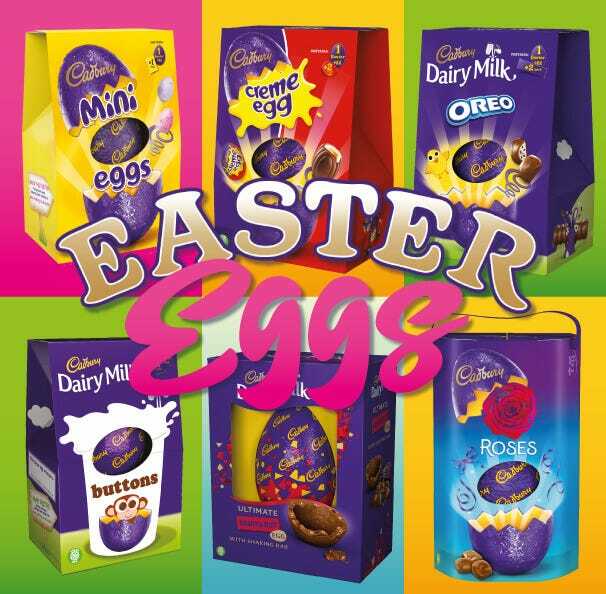 A Cadbury printed gift box packed full of all your favourite Cadbury chocolate including Milk Tray, Roses, Heroes, Maynards Bassetts sweets and a Cadbury Gift Bag. 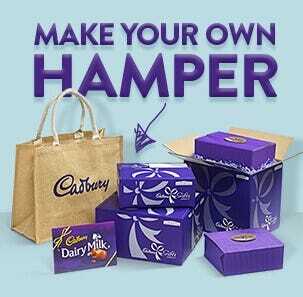 A £40 Cadbury Chocolate gift hamper for sharing with your family friends or team for all occasions. Everyone was thrilled to open and share out the goodies! There were lots of items and something for everyone to enjoy - great! 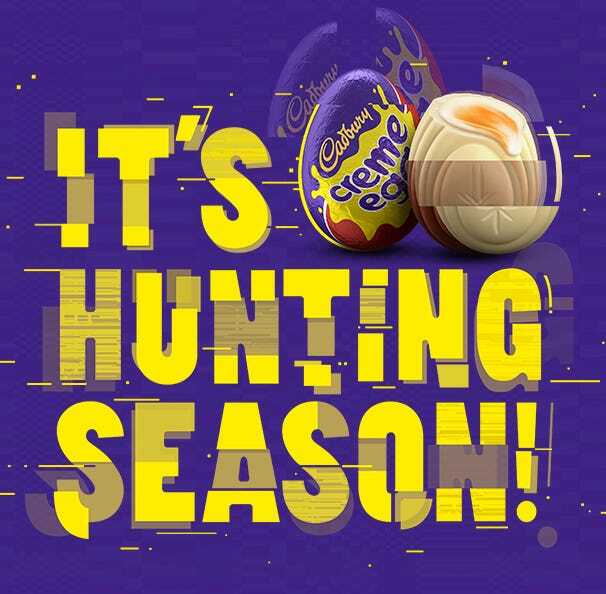 Chocolate is fine, no hamper! Great gift idea and service to have available. Decent and good VFM as a gift. Recipient was over the moon with the gift and would most certainly purchase a similar gift in the future. Both my sisters were delighted with their surprise. 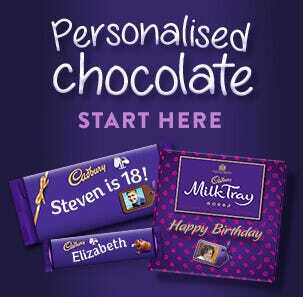 Great box of chocs, the recipient loved it! 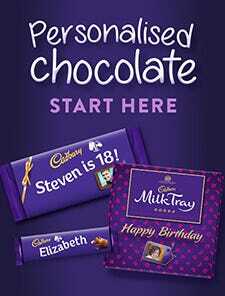 Sent as gifts, happy with the products hence i picked them as presents. Overpriced - with no added value. I could have bought the same products in a local supermarket for significantly less. The packaging was just the delivery box; and the gift card was a piece of paper advertising the company with a white sticky label on. The purchase had been intended as... Read More. Overpriced - with no added value. The purchase had been intended as a gift but was over priced and underwhelming. Thank you for your feedback. We are sorry to hear that you are disappointed with your order. 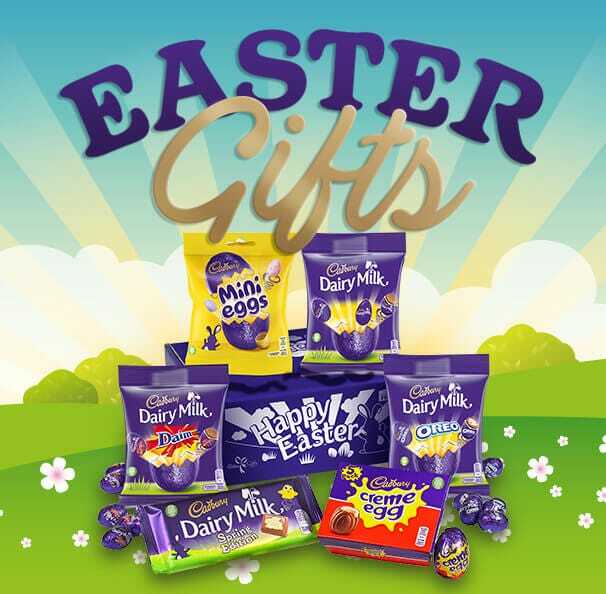 We are the gifting arm of Cadbury and as such offer our customer's the opportunity to customise their orders and have these delivered straight to the recipients door. This service is not available in local... Read More. Thank you for your feedback. We are sorry to hear that you are disappointed with your order. 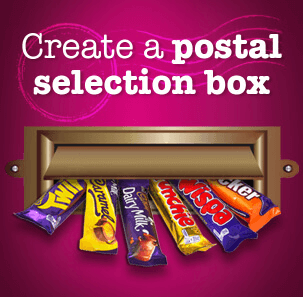 We are the gifting arm of Cadbury and as such offer our customer's the opportunity to customise their orders and have these delivered straight to the recipients door. This service is not available in local shops and Supermarkets.